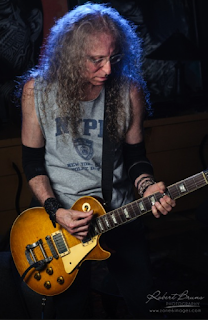 Waddy Wachtel has played with Bob Dylan, The Everly Brothers, Jackson Browne, Linda Ronstadt, Warren Zevon, Keith Richards, Ronnie Wood, Lindsey Buckingham and Stevie Nicks, Neil Young, Joe Walsh and many more. His 1960 Les Paul with factory Bigsby was purchased for $350 from Stephen Stills in 1968, soon after he had moved to Los Angeles to do session work. “I really loved the slim neck. Not slim in width, but from top to bottom. And clear as a bell. A lot of treble and a lot of tone." Right On! ClueTube.TV expertly picks the live rock music videos with the best video production, sound quality and artist significance, just for us. 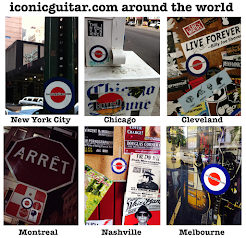 Copyright 2018 iconicguitar.com. Awesome Inc. theme. Powered by Blogger.